Posted By:Unknown | At:1:06 PM Be the first to comment! A Pennsylvania judge Tuesday ordered state officials not to enforce the commonwealth’s tough new voter ID law in the coming election, saying there was not enough time to ensure that some voters would not be disenfranchised. Commonwealth Court Judge Robert Simpson said elections officials could still ask voters for a photo ID, but could not turn away otherwise qualified voters who had not been able to obtain one. Simpson’s decision that those voters do not have to cast a provisional ballot “is what makes this so significant and why we think it’s a real victory,” said Penda Hair of Advancement Project, one of the groups that challenged the new law. An appeal to the Pennsylvania Supreme Court is possible. That court ordered Simpson, who had earlier declared the law constitutional and said it could go into effect this fall, to again review the state’s revamped procedures for providing photo IDs to those who lack them. “I cannot conclude the proposed changes cure the deficiency in liberal access [to voting] identified by the Supreme Court,” Simpson wrote. The issue of voter IDs has sharply divided Republicans and Democrats nationally, and the battle was especially intense in Pennsylvania, one of the states most hotly contested in the presidential election campaign. Republicans, suspicious of alleged illegalities in the Philadelphia area, passed the new law without a single Democratic vote. They said it would ensure the integrity of the electoral process. 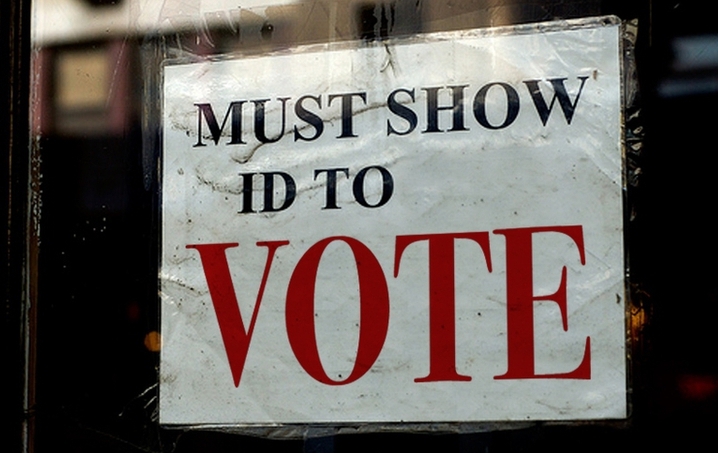 Democrats said it was simply an attempt to discourage the vote among the poor and other groups likely to vote Democratic — voters also more likely to lack the kinds of specific, government-issued photo IDs that the law requires.